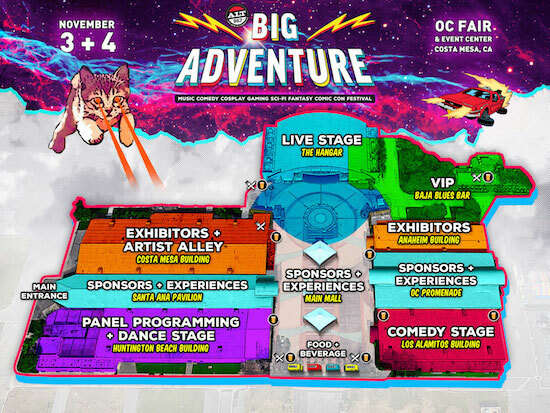 Gear up for the must-see event of the year happening this fall, Alt 98.7 Presents Big Adventure — a brand-new music, comedy, cosplay, gaming, sci-fi, fantasy, and comic con festival, coming to the OC Fair & Event Center in Costa Mesa, CA on Saturday, November 3 and Sunday, November 4. 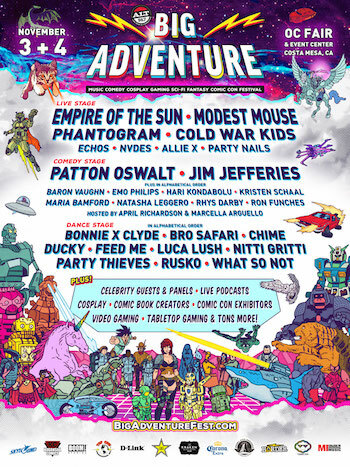 Serving as a celebration of pop culture and fandom of all sorts, Alt 98.7 Presents Big Adventure is a one-of-a-kind entertainment experience, set to immerse attendees in a world where comics, sci-fi, fantasy, and gaming collide with music and comedy. During the day, attendees will have the opportunity to see some of their favorite cast members and special guests during the TV, Film, Gaming, and Comic Book panels, participate in interactive fan experiences, VR, laser tag, table top and video gaming, and tech demos, and visit the artist alley where some of the comic book industry’s top artists and creators will be speaking about their craft, selling artwork, meeting fans and signing autographs. In the evening, the focus will shift to live performances, when fans will witness sets from acclaimed comedians including Patton Oswalt and Jim Jefferies, along with some of today’s top alternative and dance music artists including Empire Of The Sun, Modest Mouse, Phantogram, Cold War Kids, What So Not, Rusko, and many more, spread across three entertainment stages. Produced by Synergy Global Entertainment (SGE), Alt 98.7 Presents Big Adventure will also boast a massive comic con exhibitor village, a marketplace with a variety of handmade and exclusive items, carnival rides and games, and wandering cosplay performers. A preliminary list of participating comic companies include Skybound, Kodansha Comics, Boom! Studios, and Top Cow Productions. Comic artists will include Andrew Robinson, Andy Belanger, Chris Burnham, Ivan Brandon, Matt Hawkins, Nick Dragotta, Andy Kuhn, Robert Wilson IV, Ande Parks, Brent Schoonover, Farel Dalrymple, Jai Nitz, Justin Greenwood, Matt Horak, Matt Wilson, Matthew Southworth, Morgan Breem, Ramon Villalobos, Brian Level, Tess Stone, Tim Doyle, and many more to be announced. A limited number of Alt 98.7 pre-sale tickets for Alt 98.7 Presents Big Adventure will be available on Thursday, July 12 at 10:00 a.m. PT. Visit www.ALT987.com for more information and how to obtain presale passwords. *VIP Lounge package does not guarantee seating within the comedy shows, however it does give you a better chance to grab a ticket to the show from the comedy show tickets area by entering the comedy show seated ticket raffle, located inside the VIP area. *VIP Lounge package does not guarantee seating within the comedy shows, however it does give you a better chance to grab a ticket to the show from the comedy show tickets area by entering the comedy show seated ticket raffle, locate inside the VIP area. *Seating is available on a first come, first served basis. Ultimate VIP seating closes 5 minutes prior to show start time. Don’t be late! Alt 98.7 Presents Big Adventure is proud to partner with the following sponsors in its inaugural year: Angel City Brewing, Corona, Kraken Rum, Cosmic Fog, Rockstar Energy Drink, Musicians Institute, Mike’s HARDER, and D-Link. Synergy Global Entertainment, Inc. (SGE) is one of the world’s premier music festival production companies. SGE events include music and lifestyle festivals across a variety of genres and interests, with over 60 major festival dates in 2018.  SGE produces or co-produces Back To The Beach; Driftwood; Knotfest; Lost Lands (Your EDM Best Festival of 2017 and Noiseporn 2017 Festival Of The Year); Moonrise Festival; MUSINK; Oddball Comedy and Curiosity Festival; Ohana Dana Point; Punk In Drublic Craft Beer & Music Festival; Sabroso Taco, Craft Beer & Music Festival; 92.3 WCOL Country Jam + Campout; Ye Scallywag!, and more. In addition, SGE co-produced the Rockstar Energy Drink Mayhem Festival and the worldwide Rockstar Taste of Chaos, and created and produced the Identity Festival and Rockstar Energy UPROAR Festival. This year’s SGE-affiliated events are projected to sell nearly 1 million tickets overall. In addition to festival production, SGE’s in-house sponsorship agency procures and executes a multitude of partnerships in varying forms for global brands, top-tier artists, international booking agencies and more. ALT 98.7 is owned and operated by iHeartMedia Los Angeles. iHeartMedia Los Angeles owns and operates KRRL-FM, KYSR-FM, KIIS-FM, KOST-FM, KBIG-FM, KLAC-AM, KFI-AM, KEIB-AM and is part of iHeartMedia. With over a quarter of a billion monthly listeners in the U.S. and over 129 million social followers, iHeartMedia has the largest national reach of any radio or television outlet in America. As the leading media company in the U.S., iHeartMedia serves over 150 local markets through 849 owned radio stations, and the company’s radio stations and content can be heard on AM/FM, on satellite, at iHeartRadio.com, on the company’s station websites and on iHeartRadio, iHeartMedia’s digital music, podcast, on demand and live streaming radio service, available on over 250 platforms and 2000 devices, including on digital auto dashes, tablets, wearables and smartphones, on virtual assistants, smart speakers, TVs and gaming consoles. iHeartRadio offers users thousands of live radio stations, personalized custom artist stations created by just one song or seed artist, on demand features and the top podcasts and personalities. The all-in-one digital service has more than 1.7 billion downloads, 110 million registered users and is the No. 1 commercial radio podcaster in the U.S.
iHeartMedia’s platforms include radio broadcasting, online, mobile, digital, social, podcasts, personalities and influencers, live concerts and events, syndication, music research services and independent media representation. iHeartMedia is a division of iHeartMedia, Inc. (PINK: IHRQ). Visit iHeartMedia.com for more company information.